Our skin reflects our diet and lifestyle choices: cleansing from the inside can help promote healthier skin. 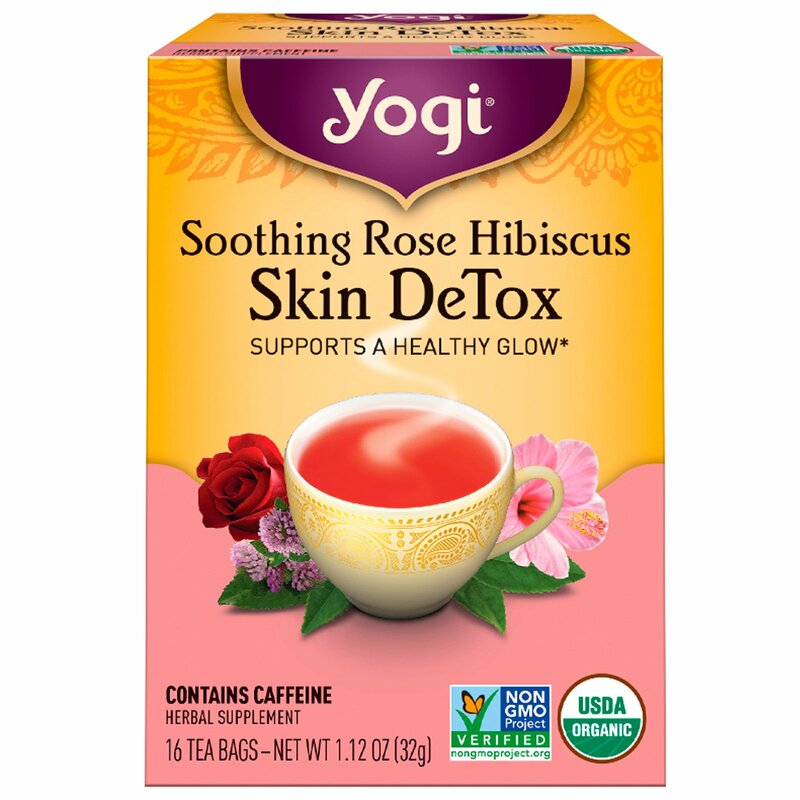 Soothing Rose Hibiscus Skin DeTox tea combines Rose Petal and Hibiscus - used in Ayurveda to soothe the skin - with Green Tea for a deliciously floral tea to support your healthy glow. Bring water to boiling, cover and steep 5 minutes. For a stronger tea, use 2 tea bags. Drink 3-4 cups daily. 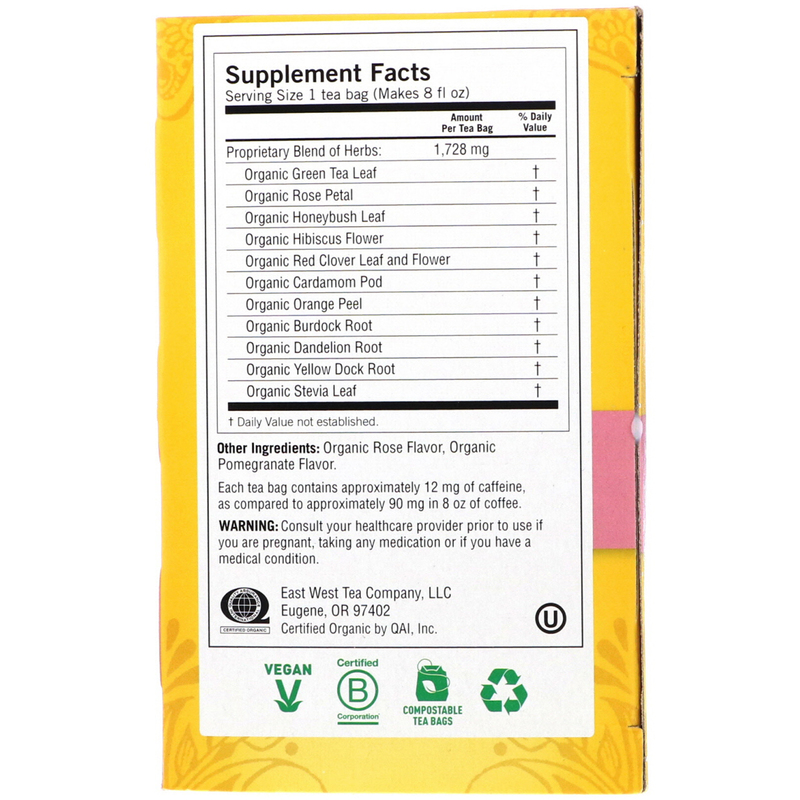 Organic rose flavor, organic pomegranate flavor. Consult your healthcare provider prior to use if you are pregnant, taking any medication or if you have medical condition.